The holiday season tends to be filled with all kinds of treats -- and pains -- and that certainly was the case for Canada's sports broadcasters this time around. Overall, it was a great couple of weeks for TSN, thanks in part to an old reliable -- the world junior hockey tournament -- and a dark horse -- the NCAA New Year's Day bowl games. Things weren't quite so rosy for Rogers and its pricey NHL package, what with Sunday Night Hockey continuing to struggle in its quest for an audience and the Winter Classic running out of steam. First, the world juniors, as big a success story as anything in Canadian sports TV. 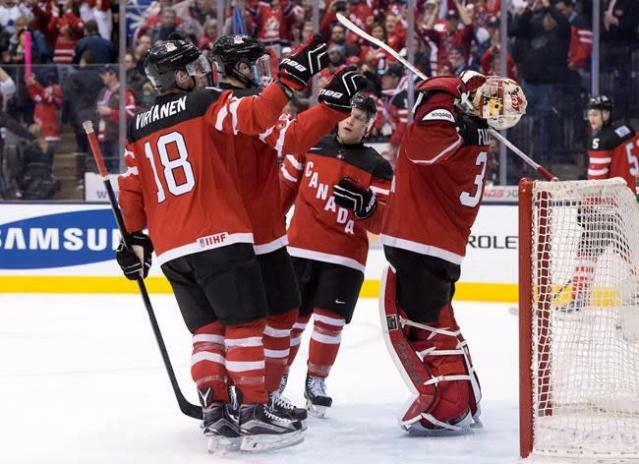 The final on Monday set a tournament record, with an average of 7.1 million watching on TSN and RDS. It wasn't a record for TSN -- the 2011 final outdrew it by 100,000 viewers -- but this year's edition of teenagers on ice was a record-setter on several fronts. Since Canadians love to watch Canadians win, the audience for the final wasn't really a big surprise. What was surprising was the big numbers put up by games that did not include the home team. Monday's bronze medal game between Sweden and Slovakia, played in the afternoon, almost hit the million mark. Either there are a lot more Swedes and Slovaks living here than we thought, or this thing is really on a roll. Adding to TSN's Happy New Year were the Rose Bowl and Sugar Bowl games, which have taken on new significance under the remodeled NCAA playoff system. The Rose Bowl averaged 702,000 viewers, the most-watched university football game ever on TSN. While there were smiles aplenty around TSN headquarters, things weren't so rosy at the Rogers bunker. First, the Winter Classic scored the smallest audience for CBC in five years, barely crossing the 1 million viewer line. The fact that the game between Chicago and Washington recorded the lowest ratings since the NHL started the outdoor trend is a pretty good indication that the novelty has worn off -- no doubt thanks to overexposure. That bunch of al fresco games last year may have taken the shine off this thing. Still, a million viewers is a good outcome in this country and nothing for Rogers to worry about. What they might be losing sleep over, though, is the low numbers on Sunday night. This week's offering between Ottawa and Tampa Bay managed an average of only 184,000 -- and that was on the first Sunday it didn't go head-to-head with the NFL. When you're behind the likes of UFC preliminaries, there's still a long way to go to make Sunday nights a hockey destination.